The primary purpose of an air conditioning system is to make your indoors more comfortable. This will only be actualised if there is an optimal control over what the system delivers. These include the temperature of the air it provides, pressure, humidity, and pressure. To guarantee this, HVAC units come with different control systems. These are broadly classified as manual and automatic but deliver the same results. The primary difference lies in the convenience of automatic controls which is absent in manual ones. Based on different elements in your surroundings, HVAC providers will help you pick the best controls to fit your air conditioning needs. 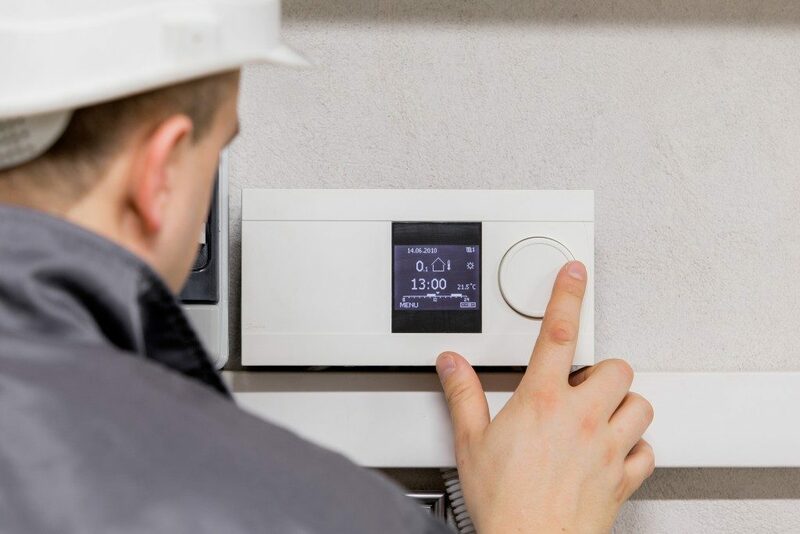 Making your choice without expert input more often than not causes you to select a unit which will not meet your property’s heating and cooling requirements. The following are the main types of controls in air conditioning systems. This is the temperature control system of your unit. Automatic thermostats are all the rage nowadays. These detect the temperature in your surroundings and set themselves at the desired temperature for your indoor comfort or can be pre-set to different temperatures for different times of the day. Other automatic thermostats will allow you to set them from your mobile device even if you are not in the property. The right thermostat not only guarantees you an optimal indoor temperature throughout but also makes your unit energy-efficient. These regulate the humidification equipment which is fitted in most modern air conditioners. Some older HVAC models have separate humidifiers. These devices will increase or decrease the amount of moisture in your environment. They have a ribbon which is wound around a bobbin. The ribbon detects humidity levels in your room and activates the bobbin to humidify or dehumidify your interiors based on the reading. These are safety cut-off controls. There are two kinds of fans used in HVAC units. The first one absorbs cold air from the cooling coils and transmits it to areas which need cooling. The second fan absorbs the hot air returned from rooms and conveys it to your system’s cooling unit. There are times that the return air’s temperature is so high that the second fan catches a fire. In these instances, your airstat will automatically stop the fan’s operation and avert the occurrence of a fire in your air conditioner. These control the air pressure or regulate airflow in your HVAC unit. There are two types of valves commonly used in HVAC units including check and pressure reducing valves. Check valves allow a one-way flow of your air through a hydronic loop thus improving the flow of air into your property. Pressure reducing valves are intended for the reduction of pressure in the interior parts of your HVAC unit should it surpass a set limit since this might damage your system. Picking the best air conditioning unit for your property does not necessarily mean getting the most expensive in the store. With expert input, you can select the best HVAC control types to meet your needs. Luckily with the tidbits above, you now understand what control type you should base your choice of an HVAC unit on.